The words fell out of Jonathan’s mouth along with the lingering fumes of several whisky buckets*, one of which he was still consuming. We’d met in Indonesia less than a month previously. Jonathan was an English guy taking five months to travel in Southeast Asia after graduating, and he had plans. He wanted to get close to the indigenous culture of Indonesia, see ancient sights, explore barely chartered islands, and yet there he was swaying before me, a broken man. 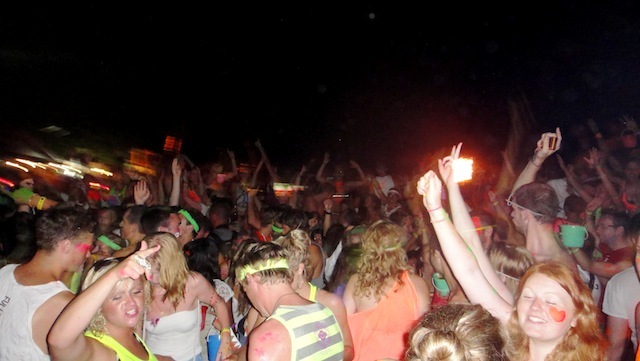 We were on Koh Phangan, the Thai island infamous for its monthly full moon parties. 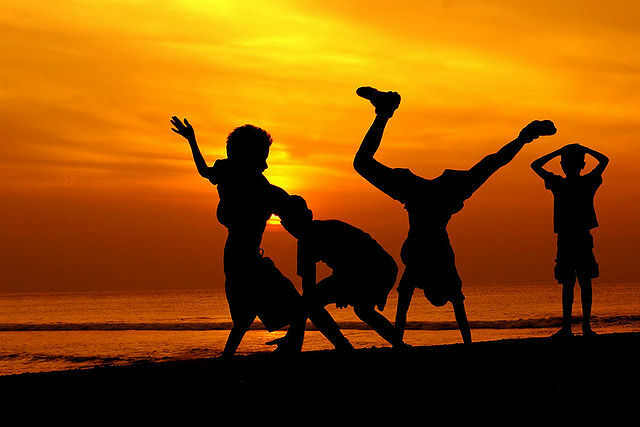 Jonathan was wearing the island staple – a bright neon vest screaming Full Moon, his body was smeared with the remnants of day-glow paint, and his right ankle was bandaged, courtesy of the petrol blazing skipping rope that puts in an appearance on the beach each night, tempting the bucket swilling masses into a giant jump-rope contest that inevitably ends with someone’s ankles bringing the rope to a halt in a way that later requires medical assistance. “Seriously, I’ve got to get off this island.” Jonathan’s main problem was that he’d peaked too soon, having arrived on the island five days before the main event, with each of those nights becoming progressively more raucous before culminating in the phenomenon that is the world’s biggest full moon party. There was no denying that the beaches on the island were drop-dead gorgeous…so why did I feel like I’d arrived anywhere other than Thailand? Legend has it that the party started when some tourists looked up at the full moon and declared it to the best he had seen in the world. They threw a party in its honor, and the tradition not only stuck, it snowballed so that instead of a select gathering of friends, the party now draws crowds up to 30,000 who swarm to Haad Rin beach to party like they’ve never partied before. I considered Jonathan in his disheveled state and was inclined to agree with him, but I also understood his need to see it through. He’d traveled all that way; he couldn’t miss the party. He took another sip on his whisky bucket and staggered off for some breakfast. Did I mention it was 10am? I took a closer look at my surroundings. Strewn around the sandy streets were throngs of western tourists in various stages of inebriation, clad in vivid colors adding a raucous din to the once placid serenity of this once traditional fishing village. There was no denying that the beaches on the island were drop-dead gorgeous, with the rain forest rich mountains performing the perfect backdrop and typifying the concept of paradise that felt sufficiently exotic to be Asian, so why did I feel like I’d arrived anywhere other than Thailand? Jonathan’s comment lingered, and I was starting to share his sentiment. I, too, had put the Full Moon Party on my travel itinerary because it was something I wanted to experience in much the same way as I wanted to see the opera in Italy, contemplate the surf in Hawaii, and raise a stein at Oktoberfest. It’s what this part of Thailand’s islands had become famous for and was a natural stop during any trip through this part of the world. Like any destination that ticks the comfortable travel, if you linger too long, there is the genuine risk that you will leave with a travel experience that is a far cry from what you first envisioned. However, for a not insignificant number, the Thai islands, with their ease of travel and ready-mixed hedonism, are a travel destination in their own right. A place to nestle in the comforts of home but with the additional benefit of being able to kick back and indulge without limits. Don’t get me wrong, I like easy travel from time to time, and sometimes it’s downright essential for my ongoing sanity. I equally like to party as much as the next person, and definitely wanted to witness first hand the world famous Full Moon Party. But, like any destination that ticks the comfortable travel, if you linger too long, there is the genuine risk that you will leave Southeast Asia with a travel experience that is a far cry from what you envisioned when you first watched Leonardo DiCaprio in The Beach and decided that kind of adventure was for you (apart from the bit where people die). To make sure this doesn’t happen on your trip, it’s important to spend time as you go reminding yourself why you wanted to travel in the first place. Beyond seeing a country’s most iconic sights, here are some of the most common reasons. After Jonathan sauntered off, it didn’t take me long to find my hostel, which was run by an English man and came equipped with an English price-tag, a minimum 5-night stay (common in the run up to the full moon), and sheets stained with the same day-glow paint that I had already determined was as mandatory as the bucket drinking. In the town, the bars were crammed with backpackers and vacationers alike chomping through calorie rich, hangover disabling burgers, fries, and pizzas while their brains were fed a staple diet of re-runs of Friends. The brave took their first few sips of Chang, the local Thai beer. The even braver tried to reconstruct their memories of the night before, which may or may not have been enhanced with a trip to the moon, thanks to the purple-grey fungus based drinks that were more readily available than Thailand’s harsh ban on drugs might otherwise imply. To explore a new culture requires getting out of your comfort zone, away from the hoards of other travelers and into the lives of the locals. It felt like a different world for sure, but a different culture? 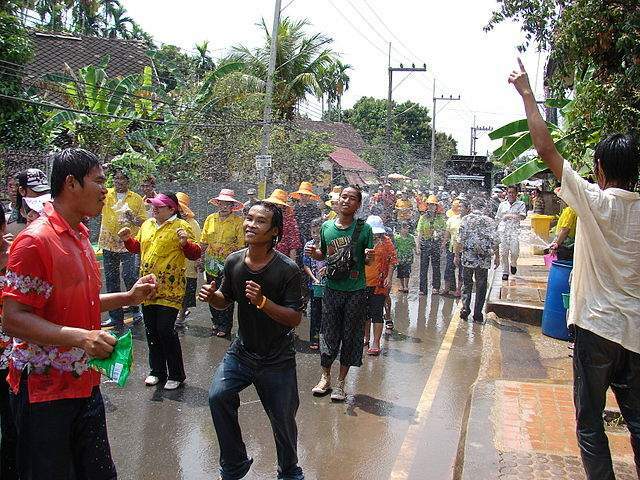 A Thai culture? I would say not. Travel from your hometown to a neighboring state, region, or country, and things can seem different, whether it is a change in daily routines, fashion styles, or architecture, it can be fascinating to see how others live. Add more mileage to your travels and often the differences increase exponentially. Understanding alternative ways of living, seeing how other cultures find meaning in their lives, and discovering new languages are all part of the fabric that makes travel so interesting. However, in well trodden places where the indigenous culture has been softly but surely blended and slowly adapted to cater for tourism, the richness that initially prompted an interest to visit a distant land can disappear, leaving you with nothing more substantive to show for all your airmiles than a change of scenery. To explore a new culture requires getting out of your comfort zone, away from the hoards of other travelers and into the lives of the locals, whether it is eating their food, talking their talk, or generally engaging in the lives they lead when the last whisky bucket is sold and the last plate of fries is served. “How you doin?’ Joey’s famous line rung out from so many bars during the daytime hours of life on Koh Phangan. I have the DVDs at home, I know the series well, and it makes me laugh. Often out loud. But for a large portion of the world, daily reality doesn’t include a constant source of drinkable tap water, let alone cable TV and endless hours of broadcast laughter, and while sitting on a comfy sofa, sipping banana smoothies with familiar shows playing on a loop may be a pleasant way to lose a day, it will supply no greater understanding of the world than doing likewise in your own town. To experience how other communities live, survive, and achieve happiness without the luxuries (and necessities) we take for granted can be a humbling experience, and in order to gain that experience it is necessary to walk away from the trappings that define our everyday lives, even if only for a while. I always try to pause when something goes wrong in my western world and think about the people I saw living on the ever ebbing and flowing banks of the the Tonle Sap in Cambodia, where resourcefulness is high and happiness blossoms from even the most basic existence. I can’t remember how may times I’ve conversed with a fellow traveler about their intended route or life back home, but none of those thousands of conversations stick in my mind as much as those I’ve had with local people who can add color, context, and depth to the sights that surround you in a new country. I can’t remember where Jonathan intended to travel after Thailand, but I recall with detail the evening I spent eating pigs feet in China, having a furtive conversation with a local guy about the one-child policy. I don’t remember exactly where in England Jonathan was from, but I can recount in detail the afternoon I sat with a Mexican politics student understanding the complexities of the elections and the war on drugs. I’m no longer in regular contact with many of the other backpackers I met, but I often turn to the old family recipe for chai tea I was gifted by a lady in India. Speaking with the natives makes traveling thousands of miles worthwhile. If you’ve asked the question “Where are you from?” more than once a day, you’re probably spending too much time with other backpackers, and while it is nice to engage with other travelers, to get their recommendations and make new friends, the native people are much better placed to introduce you to their town and way of life than any well-heeled traveler will ever be. It was a proud claim I overheard from a girl in one of Koh Phangan’s bars. I later found out that, like many people on the island, she was on a gap year and was enjoying the “culture” so much she already had her visa extended once. The island was the perfect place to be. There was familiar food (spaghetti Bolognese), a familiar language (the local people spoke exceptional English), familiar people (European, American, Canadian, and Australian travelers make up a substantive proportion of the party goers), familiar music (techno), and, best of all, a beach to work on that all important tan to take home as evidence of the success of a trip to the far off Asia. The world is vast and promises plenty of fresh experiences across a diverse range of landscapes. Do you really want to spend your time away dancing to the same old tunes? Of course, howling at the moon over techno beats on Haad Rin beach with a stomach full of whisky is another addition to the rich tapestry of experiences that make traveling exciting, and like most revelers I created a memory that can bring a smile to even the dullest European winter nights, but it’s important not to get stuck in a travel rut. The world is vast and promises plenty of fresh experiences across a diverse range of landscapes. Do you really want to spend your time away dancing to the same old tunes? I once found a beautiful part of the Nicoya Peninsula in Costa Rica that tricked me into drifting longer than I’d intended, but by the time I had made the same notes in my travel diary for the umpteenth time (lay on beach, attempted the surf, watched the sunset, ate avocado, drank rum, built a beach bonfire, partied, slept), I knew it was time to move on. Travel is about new experiences, and if your days (and nights) are all the same, you’re probably missing out. Missing your night train during India’s monsoon and not being able to get a refund of your last handful of rupees can be challenging, but it is only when we’re challenged that we truly grow. Whether it is facing your fears (hitting the summit of a mountain when you have a fear of heights) or simply fending for yourself (cooking something more complicated than toast), a great sense of achievement can come from removing yourself from your comfort zone. And this requires stepping outside of areas that provide all of the familiarity and safety of home…like the cable TV supplying bars in Koh Phangan. Sometimes acquiring life skills on the road can be tough but returning home with a sense of independence is something you’re highly unlikely to regret, and one of the unique opportunities that indie travel can offer. 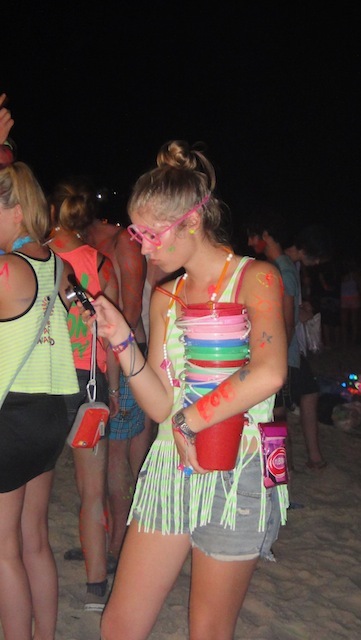 The full moon parties of this world do have their place on the indie travel itinerary. I personally never feel more alive than when I see the dawn break knowing that I haven’t yet slept. And going a little crazy and letting loose is good for the soul…at least for a while. But think about the consequences if this becomes your travel lifestyle. By all means, party hard, but be mindful. 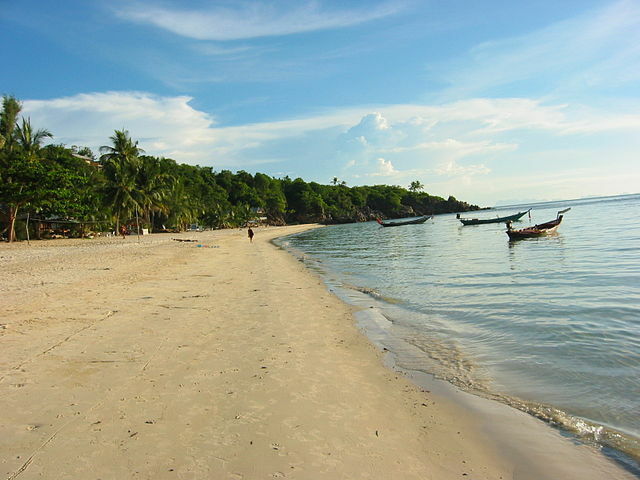 How would you feel if Koh Phangan were your town? Not only does someone have to clean up the post party mess each month, but some things that are harder to wipe clean, like the indelible memory that you leave behind as representative of your country. And then there are the opportunities lost. Wavering between nights fueled with drink (and drugs) and days hung-over (and on a downer) can fast consume your precious time away. Each day idling is a day lost. Sights not seen, people not met, cultures not understood. 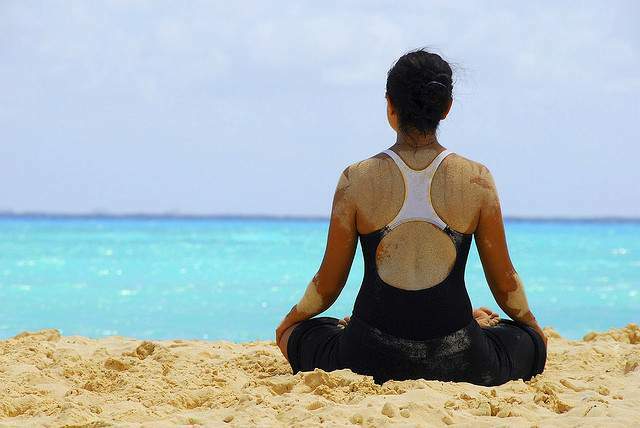 Do you really want to run the risk of returning home with nothing deeper than a suntan? Think about it and think about Jonathan. Is that why you went travelling? Photo credits: Robert Nyman, Grand Velas Riviera Maya, Love Krittaya, Joseph A. Ferris III, Daniel Flower, nattu, all other photos courtesy of the author and may not be used without permission.